Inspire & Achieve’s 2017 STEM Scholarship Recipient – Kaley Calhoun! HUNTSVILLE, AL – Inspire & Achieve is proud to be a Scholarship Sponsor for the Twenty-Fourth Annual Scholarship Banquet, hosted by the North Alabama (NAL) Professionals Chapter of the National Society of Black Engineers (NSBE). 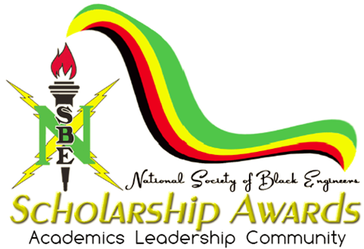 The NAL NSBE works closely with the community to promote academic excellence and guidance to students of all ages, from elementary to college levels. With programs such as resume workshops, camps, and tutoring, the NAL NSBE promotes youth participation in STEM studies and fields. For twenty-four years, the NAL NSBE has been an example of what it means to support and invest in the future, and Inspire & Achieve is proud to support them in their mission. Inspire & Achieve is a Non-Profit Organization promoting higher education, undergraduate scholarships, and Cybersecurity awareness to the community. For additional information, please email us at info@inspireandachieve.net.